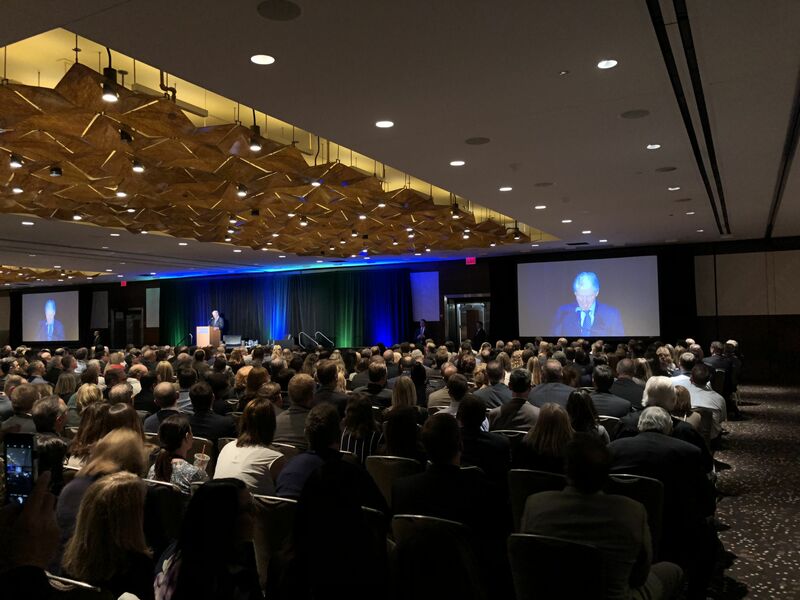 Executive Managing Directors Todd Perman and Garth Hogan are attending the 9th Annual Becker's Hospital Review Conference in Chicago this week where Bill Clinton is a keynote speaker. In a speech made by Bill Clinton at the 9th Annual Becker's Hospital Review Conference in Chicago this week, Clinton gave a high level overview of his global mission to improve healthcare. He has set up The Clinton Foundation which is guided by the belief that every problem has a solution and together, with a diverse set of partners, we can work to improve lives across the United States and around the globe. The Foundation has a wide range of initiatives, including the now independent Clinton Health Access Initiative (CHAI) which has helped over 11 million people in more than 70 countries access critical HIV/AIDS medications at CHAI-negotiated prices. The Clinton Climate Initiative, the Clinton Development Initiative, and the Clinton Giustra Enterprise Partnership are applying a business-oriented approach to promote sustainable economic growth and fight climate change in Africa, Latin America, Asia, and the Caribbean. In the United States, the Foundation is focused on helping children and adults live full and active lives by working to combat the rise in childhood obesity through the Alliance for a Healthier Generation, a partnership forged with the American Heart Association. The Foundation is also reducing health disparities and addressing emerging health threats like the opioid epidemic by partnering with local communities through the Clinton Health Matters Initiative. The Foundation’s Too Small to Fail Initiative also helps increase awareness about the importance of early childhood development. Clinton also suggested that the younger generation is more reluctant to put effort into healthcare reform when they live in a world of global uncertainty. Using humor, he added that they expect technology to come up with a solution and add it to their mobile device.